Empty a 12-ounce bag of fresh cranberries into a saucepan and transfer 1/2 cup to a small bowl. Add 1 cup sugar, 1 strip lemon zest ,2 tablespoons water to the pan and cook over low heat, stirring occasionally, until the sugar dissolves and the cranberries are soft, about 10 minutes. Increase the heat to medium and cook until the cranberries burst, about 12 minutes. 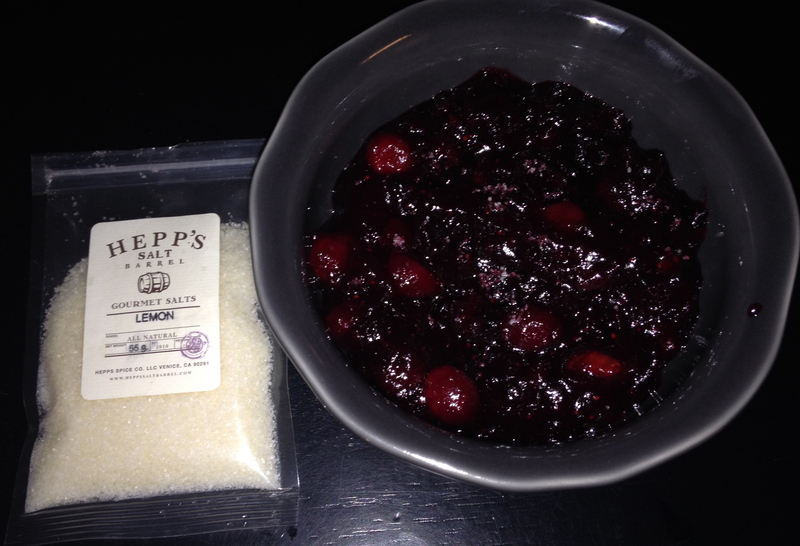 Add HEPP'S Lemon sea salt and to taste and cool to room temperature before serving.